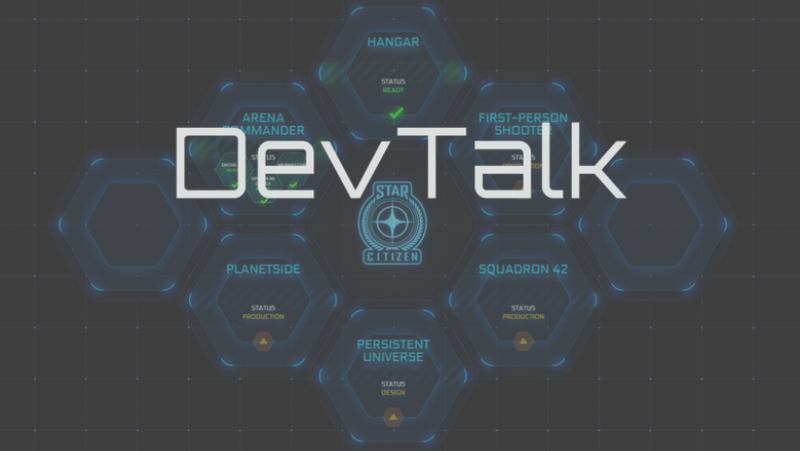 Welcome fellow Citizens to the inaugural DevTalk. This is where we will collect notable posts by the CIG developers on the RSI forums, social media, and elsewhere. Click here to check it out! Thanks for checking out our first entry into DevTalk. We are hoping this series will help keep Citizens up to do date on everything Star Citizen! The issue with the statements about the star system sizes, is that the numbers don’t add up. At the PU Townhall, Tony Zurovec stated that to cross the diameter of a typical star system would take 8-10 minutes at 0.2C. This means the systems are roughly 28 to 36 million km across, a far cry from the 100,000 to 1 million km mentioned above. 20 minutes at 0.2C would be 72 million km. 100,000 km would take only 1.7 seconds to cross at 0.2C. 1 million km would take only 17 seconds. I think it is fairly safe to say, therefore, that the 100,000 to 1 million km estimate is in error. In terms of my personal feelings, I think star systems should range 25-50 million km across. May 18 – Where’s the throttle?! May 20 – Chris lands the Hornet! May 22 – Good thing I went to flight school! May 22 – Relaxing after a great week of shooting. Have a good weekend, Citizens!